The School of American Studies has been ranked 5thnationally in a subject survey compiled by the Complete University Guide. On the back of University’s first place ranking in last week’s Student Experience Survey, UEA also scored highly in the general survey, placing 20th in the Guide’s overall standings. A university’s position in the table is determined by its scores in nine areas, including student satisfaction, research assessment, spending on academic services and graduate prospects. You can see the full table for American Studies here and read more about UEA’s overall score here. In Conversation: Catlin’s ‘Vanishing Indians’ and the politics of Indian agency, National Portrait Gallery, May 9 2013, 7pm. Next Thursday (9th May) Jacqueline Fear-Segal and Rebecca Tillett will be representing AMS and the Native Studies Research Network at the National Portrait Gallery in London. 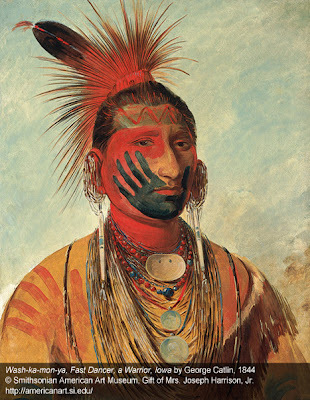 Along with David Stirrup (University of Kent), they will be discussing the historical and political context of George Catlin’s ‘Indian Gallery’ to coincide with the NPG's George Catlin: American Indian Portraits season of events. Free and open to the public, the event will explore Catlin’s portraits alongside the responses of 19th century Native American intellectuals. Jacqueline , Rebecca and David will also address the way in which the Smithsonian has used Catlin's imagery to establish the narrative of the vanishing Indian, as well as the way in which contemporary Native Americans such as Pequot preacher William Apess or Ojibwe interpreter Maungwudaus have attempted to subtly challenge and subvert these romantic and racist stereotypes in popular culture. 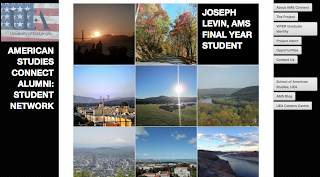 Have you had a Study Year Abroad or are planning to take on one? If so, you will be interested to know that the School of American Studies has launched the Year Abroad Employability Project. The Year Abroad Employability Project has been designed to maximise the employability potential of the year abroad experience of AMS students. The project aims to provide the outgoing Year Abroad students with the tools to fully engage with the ways in which their experience enhances their graduate identity through a series of preparatory workshops and by being part of an AMS Year Abroad Network, consisting of current students and AMS alumnus. Connecting current students (both 2nd year outgoing and 4th year returned students) with AMS alumnus and creating a system of alumni-student distance mentoring, students will have access to the expertise and experience of our alumni. The hope is that the project will be mutually beneficial for everyone involved. Alumni have the chance to reconnect with the School of American Studies, share valuable insight and experience, improve communication and coaching skills, and be part of something new and exciting. Both current students and alumni, can find out more about how they can benefit by joining our LinkedIn group, sending an email to lucy.c.edwards@uea.ac.uk or by having a look at the projects new website, http://americanconnections.wordpress.com/. Next Tuesday (16th April) Kirsten Tranter will be at UEA to discuss, and give a reading from, her latest novel A Common Loss. 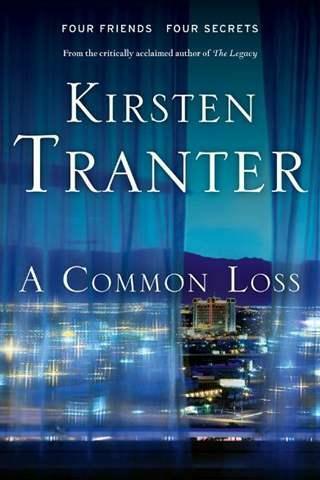 Set in Las Vegas, Kirsten's book explores the disintegration of a group of friends after one of them dies suddenly just prior to their annual reunion. She will be talking about the processes that went into producing an imagined version of the already hyperreal space that is Las Vegas. 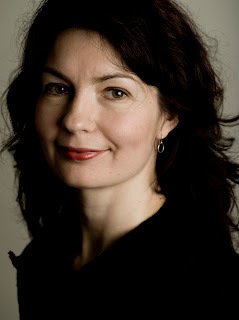 Kirsten Tranter is an Australian writer and author of the internationally published and critically acclaimed novels A Common Loss (2012) and The Legacy (2010). The Legacy was praised by The Guardian as “a seductive contemporary literary thriller... a knowing, classy debut” and was a Kirkus Review debut novel of the year. Kirsten completed a PhD in English Literature at Rutgers University in New Jersey and lived in New York between 1998 and 2009. She teaches creative writing, and publishes literary and cultural criticism. Kirsten is one of the founders of the Stella Prize for Australian womenʼs writing, a new award inspired by the UK Womenʼs Prize for Fiction. She is currently based in New York as a visiting scholar at Columbia University. The event is free and will take place on Tuesday at 5.15-6pm in Arts 01.06.